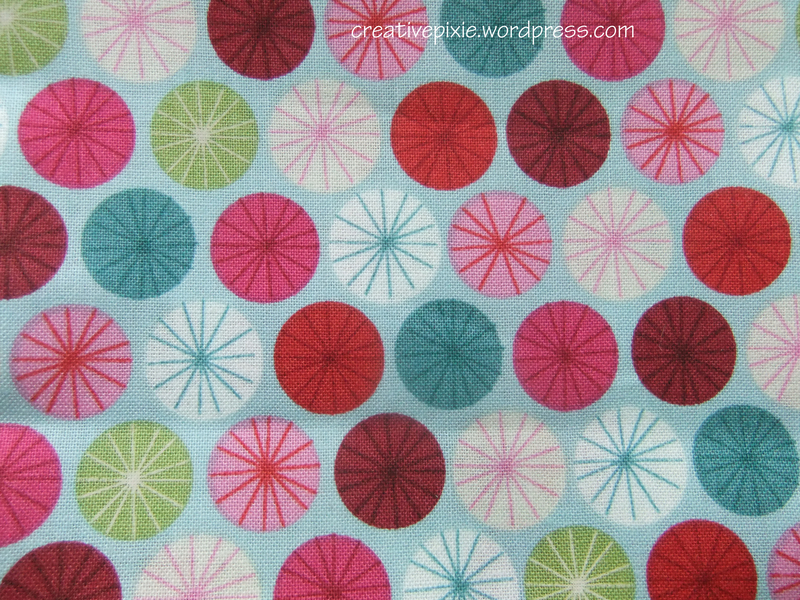 A few weeks back me and the girls took ourselves off to the Creative Crafts show at the Kings Hall in Belfast. There was a vast range of stands covering all sorts of crafts such as beading, quilting, paper craft, ribbon work, sewing, knitting and felting. We took a walk round to everything that was on offer then went back to our favourite stands to buy the goodies. The Creative Crafts Show is touring the UK so check it out here to see if it’s coming to a place near you soon. I saw this gorgeous print so had to have a fat quarter. Aren’t the colours beautiful, I think I might make a soft toy out of this. Poppy saw some wooden heart beads, you can buy them online here. As it was quite late when we got home I told her she could make something with them the next day. 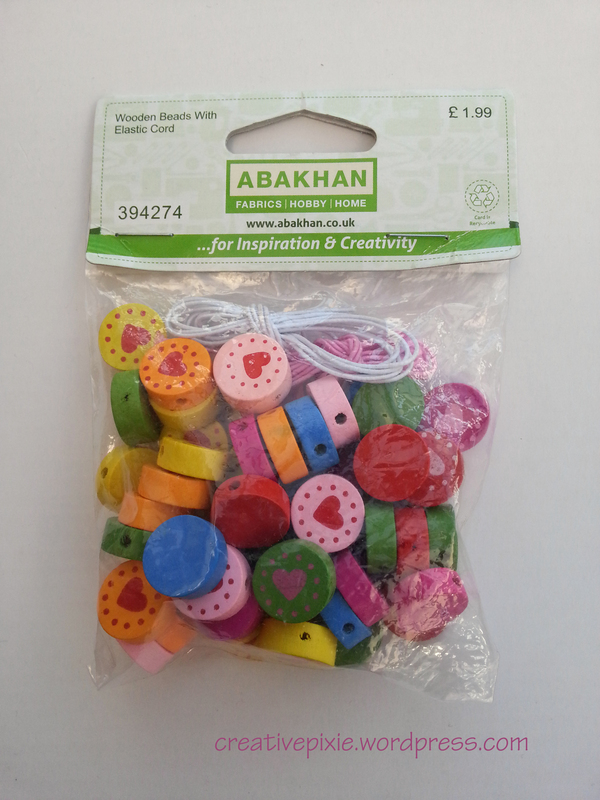 The pack contains approx 50 multicoloured round wooden beads with a heart painted on them and included are 2 good lengths of elastic cord (one pink and one white). 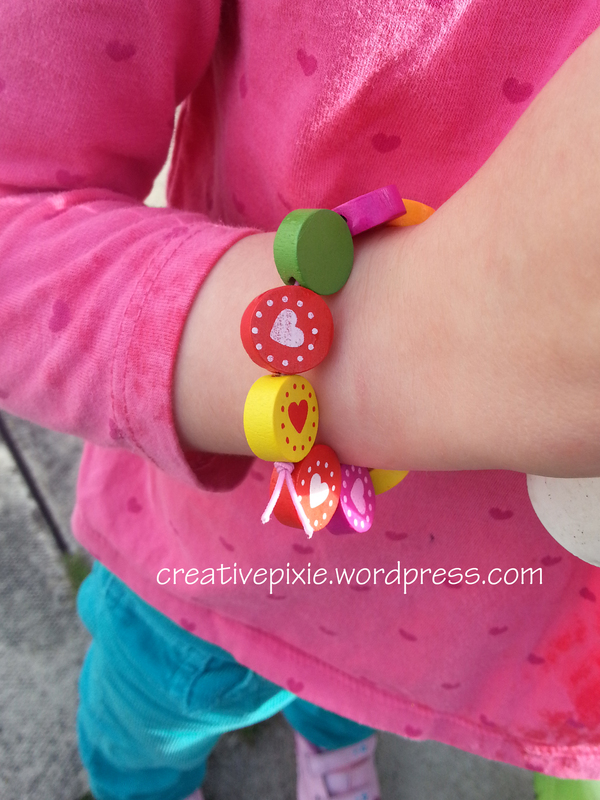 I asked Poppy what she wanted to make and she said she wanted a bracelet so I measured her wrist and got her to pick the beads she wanted threaded onto the elastic. She/I found it tricky to thread the elastic through the beads without first poking the holes to make sure they were free of obstruction. 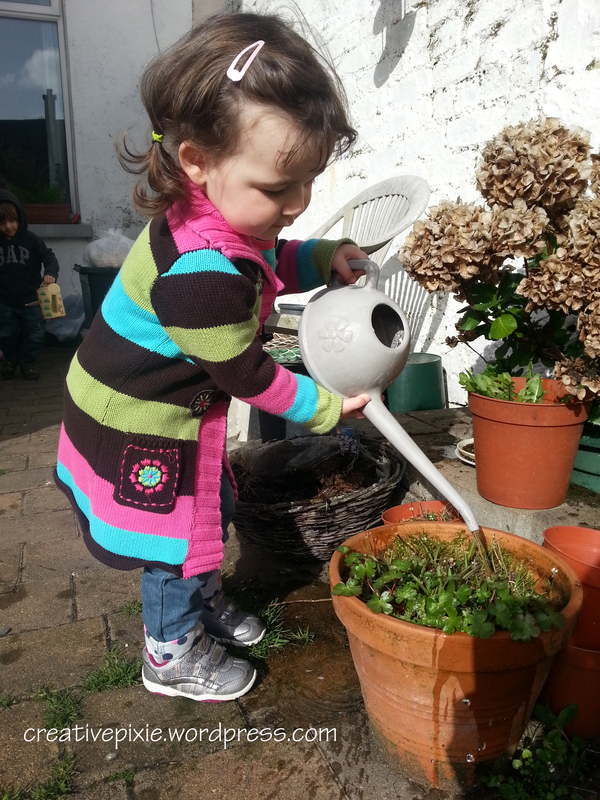 Once completed she couldn’t wait to model the bracelet, then she went off to water the plants in my parents garden. 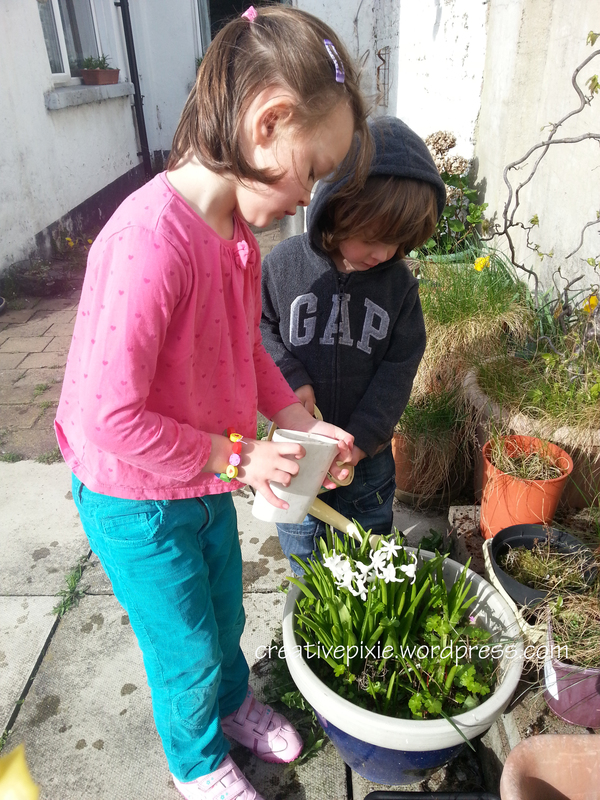 Charlie then grabbed a watering can to help. Then little Elsie had to join in too. Isn’t she a cutie. She is 2 today (I’m typing as she’s having a nap…it’s all been very exciting for her today). Gorgeous photos, I really miss having little children around the place, ours are all grown, still lovely just in a different way. Gah, your peanuts are too cute! Craft shows are such a delight…so many fun things to see. Your children are as precious as can be! And little Elsie is most darling!! Such a little cutie.